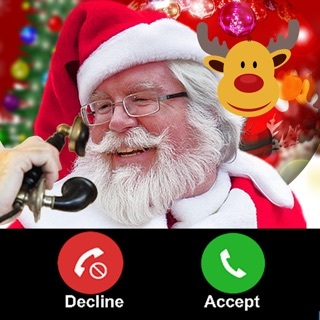 Real Video Call Santa is the premier app that allows you to send and receive personalized videos from Santa Claus! Santa Claus will watch your video and send a reply as soon as possible. Replies are based on the sent videos, so you won't hear pre-recorded messages as in other apps! The videos that Santa sends are in high definition quality. After receiving a video, feedback can be sent to Santa by selecting the star button alongside the video. 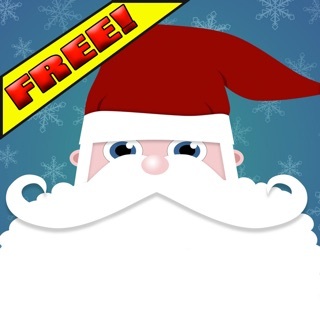 This is the most affordable Santa-talking app on the App Store! You will be given up to 45s to record your video. You may record in any language, however, replies will be sent in either English or French. If you are a child, you may introduce yourself, tell your name, age and wish list for Christmas. If you are a parent, you may report if your child has been nice or naughty. However, you are free to talk to Santa on any topic you like! Also, if you feel a bit shy to show yourself, you may turn the camera towards a photo of yourself or a wall! Even if you don't wish to pay to get personalized videos, you may still keep the app as Santa also sends videos periodically! So I tried to “call Santa” and it said I hade to get pay 2.99 for a postal stamp WHY! I would recommend you to have a bank account or something so you can pay $3 every time you call him. Why do you Evan need a postal stamp if it’s a FaceTime call. I would rather get one of the fake free ones with no effort in it. We would love to provide you free calls, however, it costs us money to watch and produce videos. It is not a FaceTime call as the video you receive is not live. It is saved on your phone and may be viewed as many times as as you like. We make videos in high definitions with special effects. The videos may also contain subtitles for children with hearing difficulties. Unlike the fake free ones you mentioned, where pre-recorded answers are given, the purpose of this app is to listen to you and give you a personalized video. For instance, some children like to show their Christmas tree and Santa comments on it. The children names and gifts are also mentioned which delight them. Also, sometimes kids have questions like what is the age of Santa and what cookies Santa like that are not catered for in other apps. We do not think you will find such a service for free anywhere! Nevertheless, we do also provide free videos sometimes and we intend to bring other features in the future that are free or less costly such as sending Santa letters. Hello, sorry for your experience. We believe we provide the best personalization for the price paid. It is possible that you didn’t enter all the information required or send a video with enough content that Santa could talk about. In the app, there is a star ⭐️ button besides the video you have received. Please select it and send us a feedback by email so that we may follow up on your specific case. Thank you! 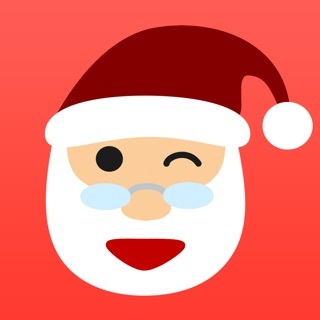 The Worst App for Santa! Do not pay for a stamp for this thing!! The voice of the Santa in the video they send back is the weirdest voice I ever heard for Santa. I am not showing this to my 6 year old...it’s creepy and he will know it’s not Santa. Can’t believe I wasted $4 on this piece of junk. Hello, sorry to hear about your experience. Is this Ricky's mom? Please contact us at info@kappsmart.com so that we can give you a free video or a refund! Copyright © 2019, Kappsmart.com. All Rights Reserved.